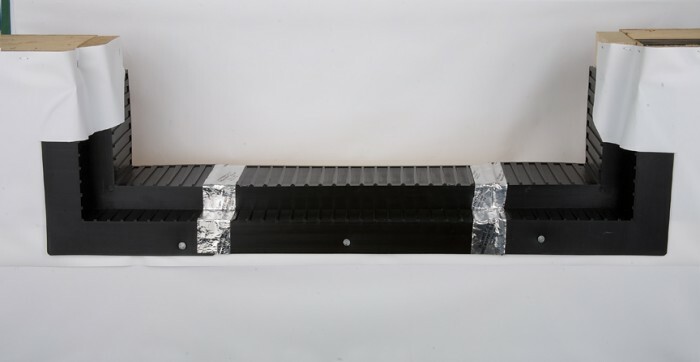 Buck window and door sill pan flashing is ideal for those builders who build their walls from block or concrete and have a framing member mounted in the opening to fasten their windows to. It is also ideal for those inset window details in framed walls. These flashings are built with a 1 ½ inch step in order to accommodate the inset framing member. made of black poly-nylon which will stick to stucco and thin set. Otherwise this flashing is used the same way as our standard window pan flashing and is sold separately as corners pieces and straight sections. 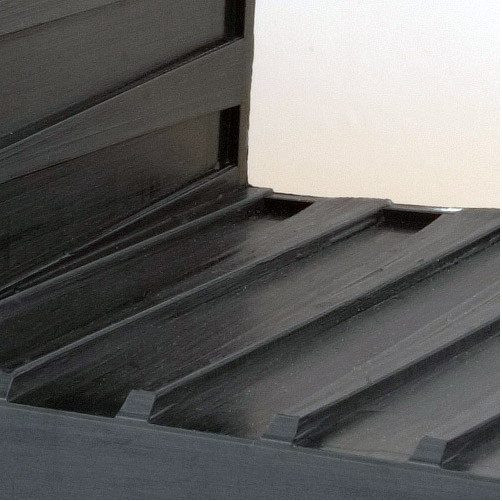 Two cases of our WOF100 non-handed sill pan corners (25 per case) combined with one case of our 26-inch straights pan sections WOF110 (25 per case) will completely protect 25 standard 3' 0" widow or door openings. If your openings are larger, simply purchase additional straight sill pan pieces and cut to fit. Please see our shipping details page for more information about our shipping rates. 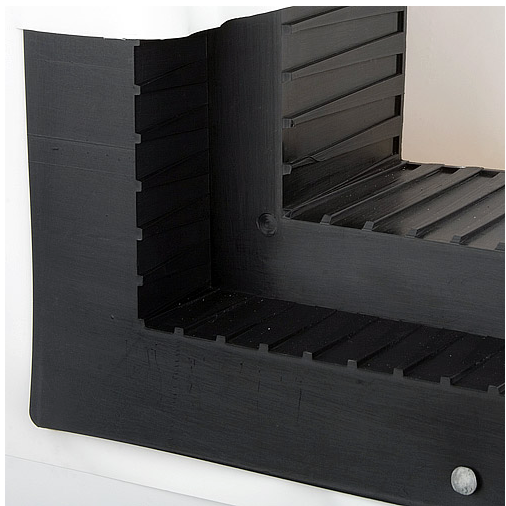 Buck window sill pans for thicker walls with an inset framing member jamb. For buck rough openings also know as a "punched window". WOF100 corners join with our WOF110 straights to make a complete pan system. Item Number: WOF100 non-handed corners WOF110 straight sections 26in.